Visitors to Tokyo during the winter can expect highs around 10ºC (50ºF) and lows around -1ºC (30ºF). Being located right in Tokyo Bay strong winds make it feel colder than it actually is. You have read how to keep cool during the summer. 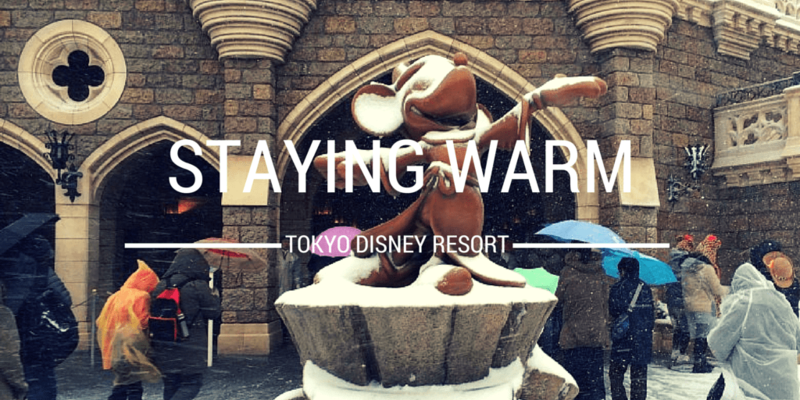 Now, here is how you can keep warm at Tokyo Disney Resort from November to February. Wear multiple layers of clothing, which will be easily removed. While it’ll be cold outside, as soon as you go inside or on a train, you will get hot. If you have these at home, bring them. If you don’t, then you can easily pick up some from the numerous Uniqlo clothing stores in Tokyo for relatively cheap (or even at 7-11). Wear this under your winter jacket. Not matter how many layers you wear having a hand warmer makes everything better. You can find these incredibly cheap at any convenience store or 100 yen shop. You won’t regret it when you’re waiting outside for the next showing of A Table is Waiting or Once Upon A Time. 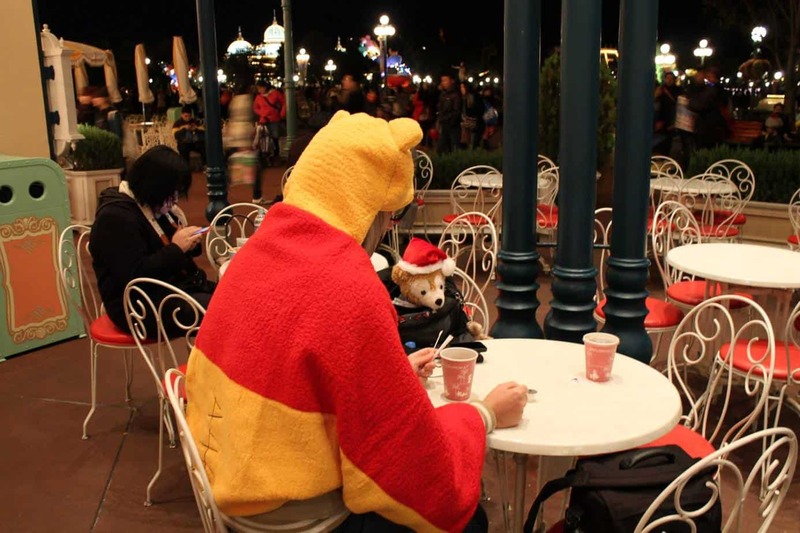 Tokyo Disney Resort has a plethora of hot beverages to choose from. Your standard tea and coffee are available at almost every restaurant. 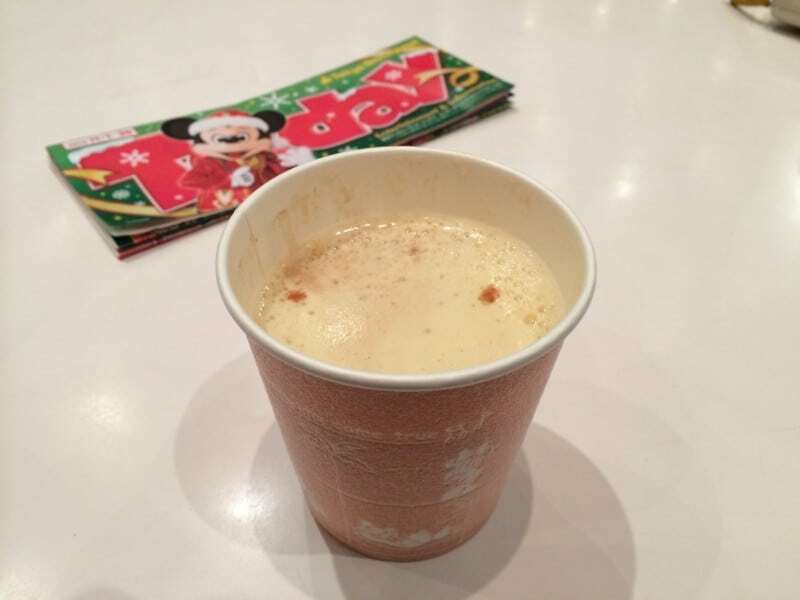 For something extra special, check the Japanese park map for the special seasonal hot beverages. They range from from Egg Nog to Hot Wine – there’s something for everyone! You may feel silly but you’ll be extra warm (not to mention fashionable). Bring your own fleece blanket or buy one of the many adorable fleece blanket with a hood. You’ll thank me when you’re toasty. If it’s warm during the day and you don’t want to carry all those layers. Simply put them in a locker at the entrance to both parks. When the sunsets (usually around 4:30pm) you can go grab your clothing! While this is only available for New Years Eve, if you get the chance to have it. It will keep you warm! Nothing beats a warm meal when it’s cold outside. Check out the restaurant menus for both Tokyo Disneyland and Tokyo DisneySea to find that perfect hot meal. 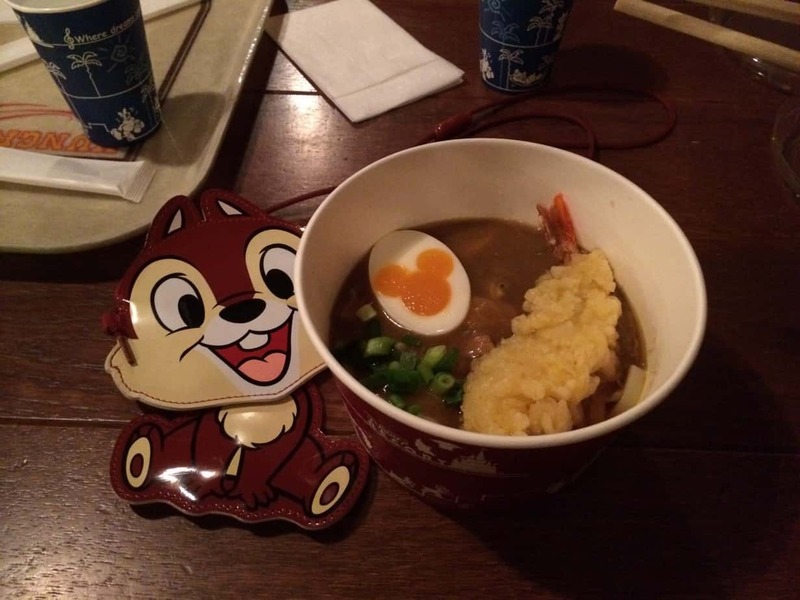 Also don’t forget to check the Japanese park maps for the latest in special menu items. On an especially cold day, plan to visit Disneyland instead of DisneySea (which is more exposed to the elements of Tokyo Bay.) Disneyland has more locations where you are protected from the wind, such as the World Bazaar. It can be unpleasantly cold at the resort if you’re not used to winter temperatures. Do everything listed above and you’ll be ahead of the game! Let us know in the comments if you have any more tricks to stay warm! That is super clever! Never would have thought to use that. Hey Chris, We get off the plane at 8:30pm and then are heading towards Hilton (it’s about a 2 hour journey with the changes we have to make!) Would there be a Uniqlo or 7-11 along that route we could get anything from? Is there one near Maihama station or near Narita airport? Your best bet is the Shin-Urayasu station (one train stop away from Maihama). There is a convenience store right by the station, so they may have some stuff there too. Thanks so much 😀 I appreciate the guidance as always! 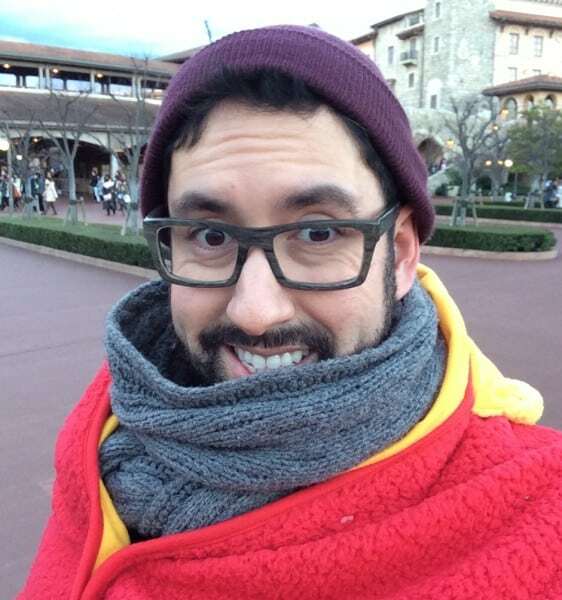 So during dec Disneysea is more fun or Disneyland?